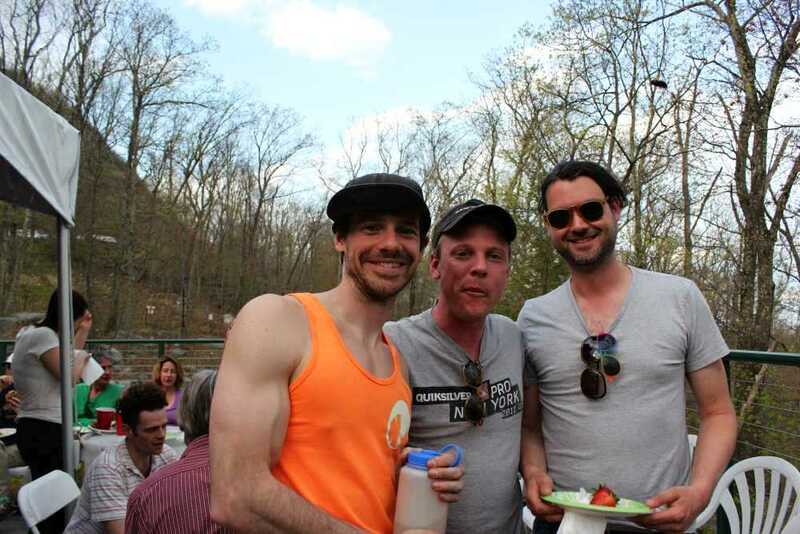 The bi-annual Gunks Climbers’ Coalition Members-Only BBQ was combined this year with the Access Fund ROCK Project. 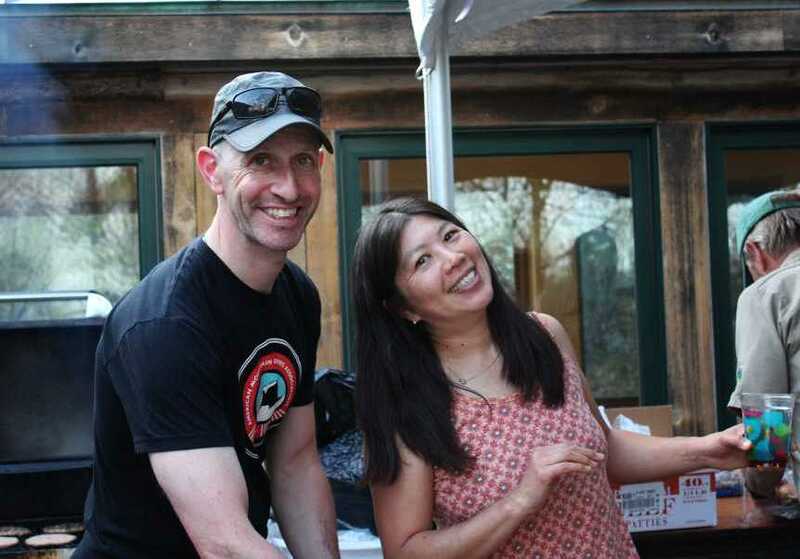 The Rock Project tour, sponsored by Black Diamond, came to Brooklyn and The Gunks for a weekend of climbing, clinics, presentations, land stewardship and parties. 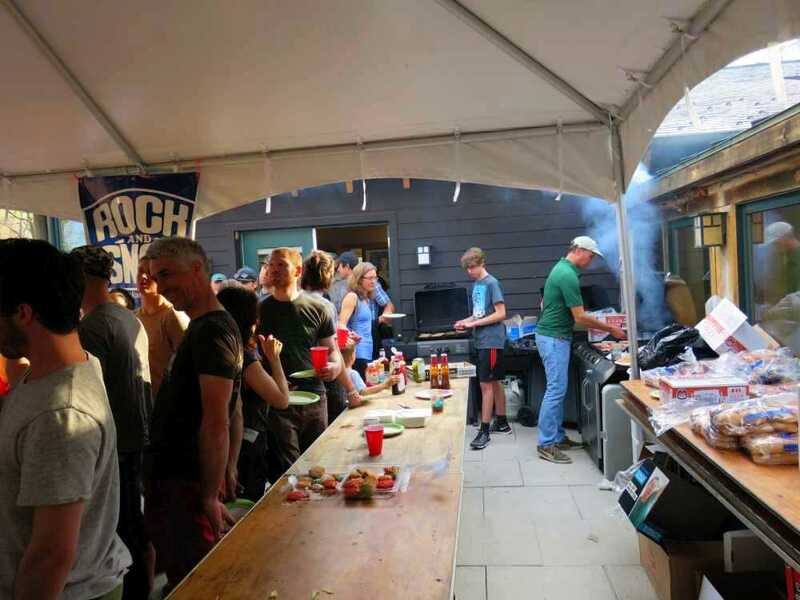 On May 4th, 2015, the ROCK Project weekend grand finale was the GCC BBQ. Included in the price of the ticket for the ROCK Project attendees was a dual membership to the Access Fund and Gunks Climbers’ Coalition. Therefore, all ROCK Project attendees were GCC Members. 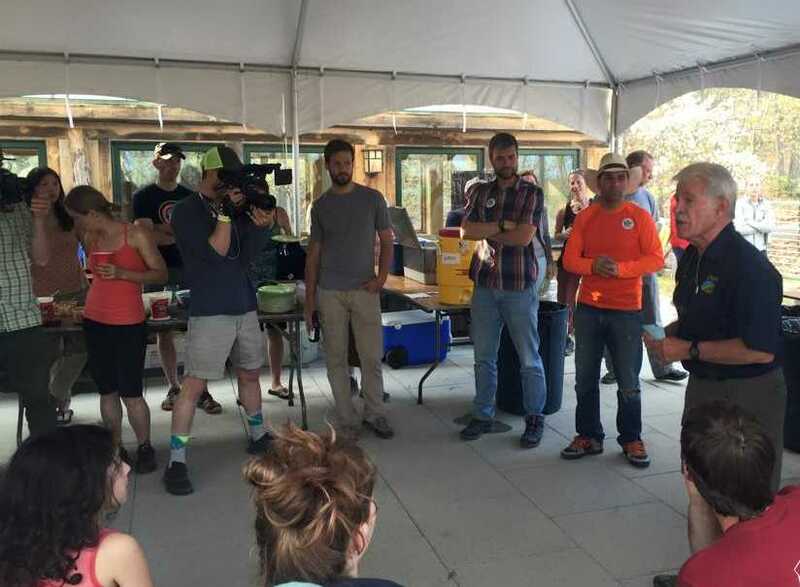 Add to the 75 ticket holders, the Access Fund and Black Diamond staff, the professional climbers, GCC board members, and GCC members who were not part of the ROCK Project, we estimated 175 to 200 attendees came to the BBQ. 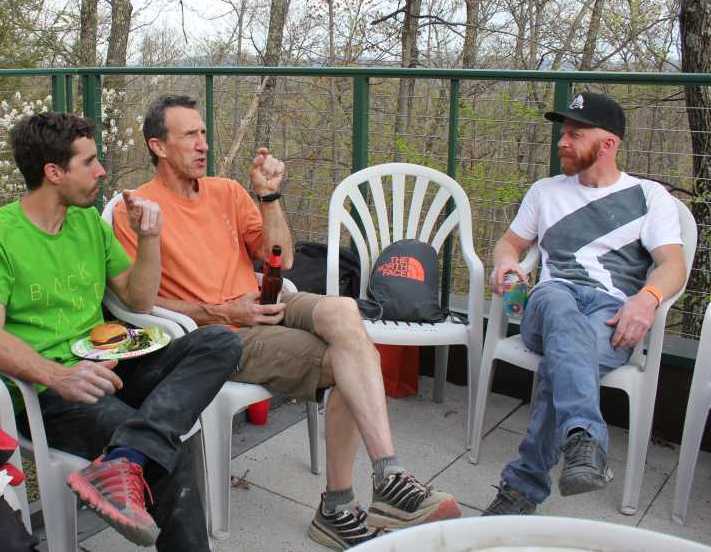 Mixing up these two major climbing events gave the ROCK Project attendees, some of them new to outdoor climbing, a chance to see the strength and friendliness of the Gunks climbing community. The Gunks climbing community also had an opportunity to network and mingle with other heavy hitters in the climbing world, like the representatives from the Access Fund, Black Diamond, Mohonk Preserve, professional climbers and other Gunks regulars and old timers. 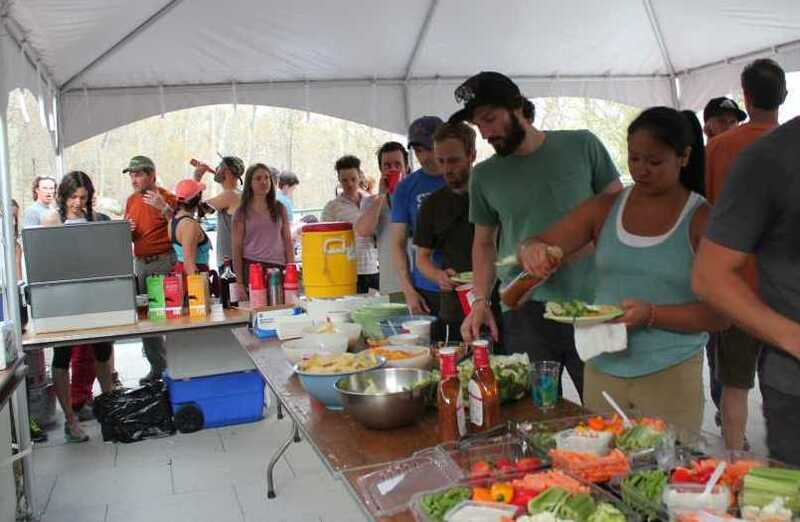 With 3 BBQ grills going non-stop with hamburgers, hot dogs and veggie burgers, it was hard to keep up with the large group of hungry climbers. We also had a variety of chips and veggies with dips, salad, cookies and apples. 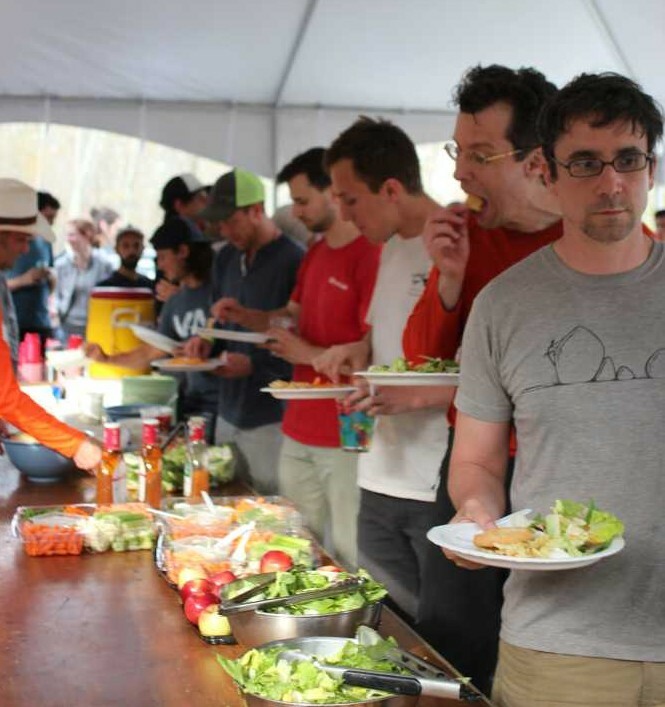 Despite purchasing enough food for the projected 200 attendees, the vegetarian foods went very quickly and we had to send someone to the nearest grocery store to buy more veggie burgers, salad and munchies. Thanks to Ariel Pazer, daughter of GCC board member, Jannette Pazer, for the emergency shopping trip. Spread of food for 200. 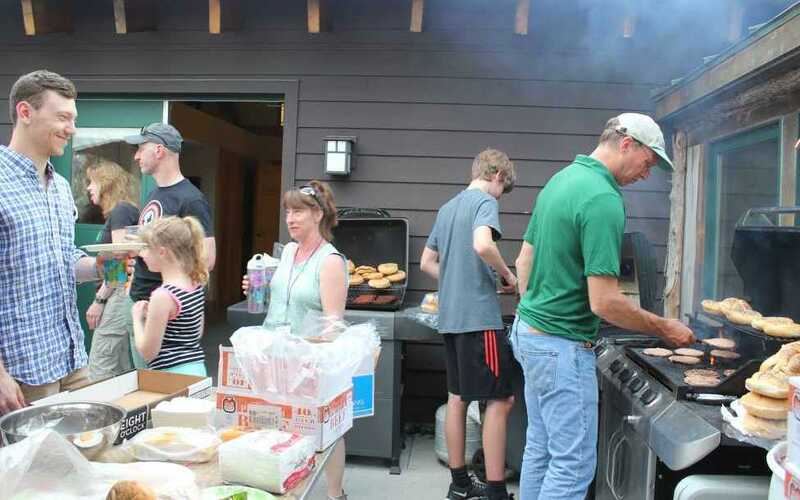 Many thanks to the guys who manned the grill throughout almost all of the party: Matt Logan, GCC board member, and Matt Wilkes, son of GCC board member David Wilkes. 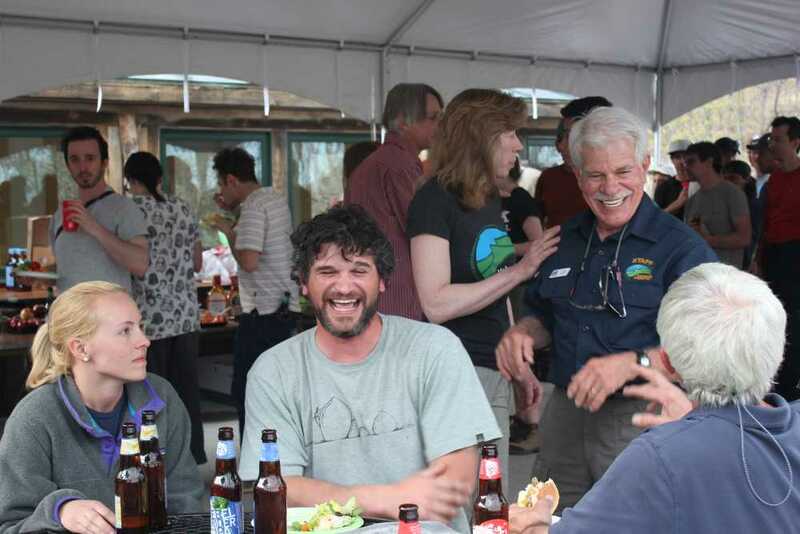 We also had help at the grill from David Wilkes and Glenn Hoagland, Executive Director of the Mohonk Preserve. Matt and Matt on grill duty. 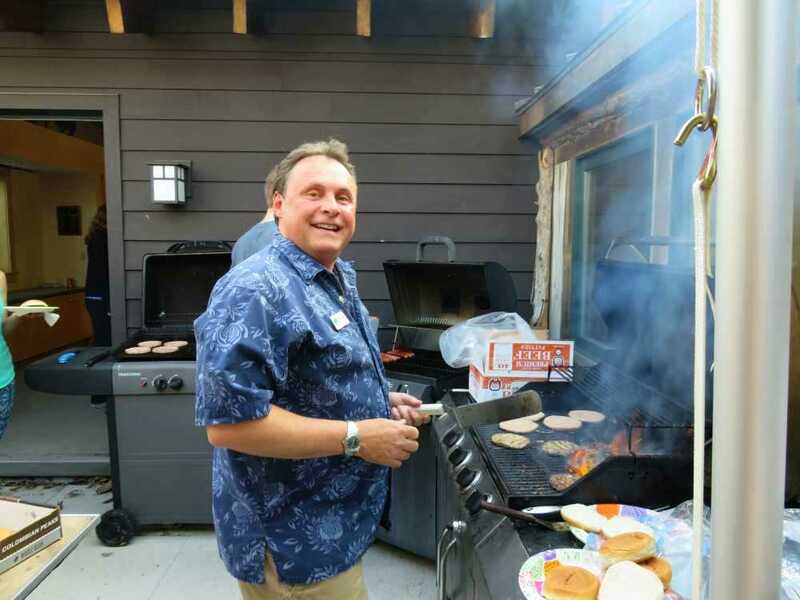 Glenn Hoagland, Exec Director of the Mohonk Preserve, on grill duty. Thanks to Rock and Snow whose sponsorship paid for most of the food at the BBQ. 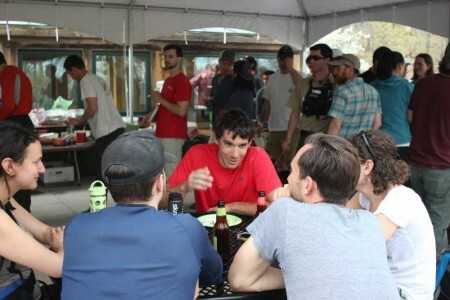 They have always supported our events and the community in general and deserve the support of the climbing community. Buy local! 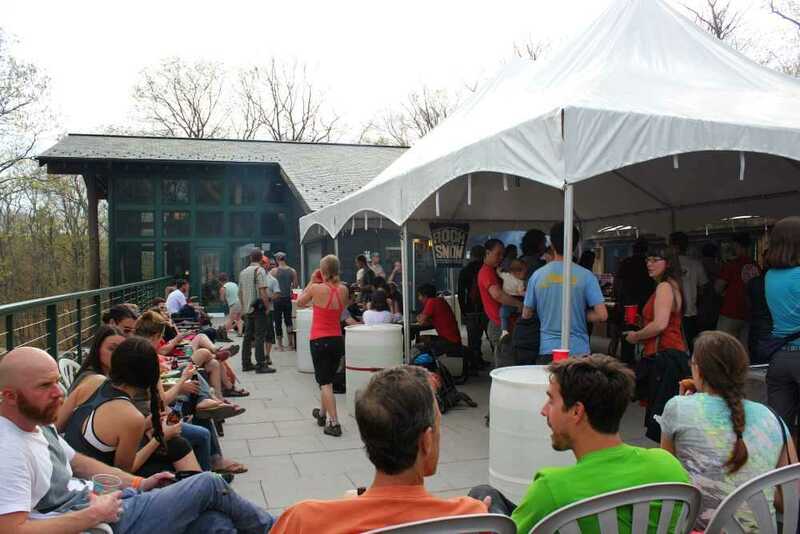 Also, thanks to the American Alpine Club for sponsoring the kegs of beer and additional drinks at the event. The Mohonk Preserve not only allows us to climb on their land, but welcomes the GCC to host our events at the Visitor’s Center for free. We also appreciate their support and ongoing relationship with the climbing community. GCC Board members David Wilkes and Jannette Pazer behind the table serving food. As the party continued, GCC board members Jason Beaupre and Christian Fracchia said a few words, as well as John Ross of the Mohonk Preserve and Travis Herbert, education director of the Access Fund. Attendees enjoyed getting to meet the professional climbers, among them: Alex Honnold, Brittany Griffith, Chris Schulte, Joe Kinder, Whitney Boland, Angie Payne and Sam Elias. John Ross, of the Mohonk Preserve. 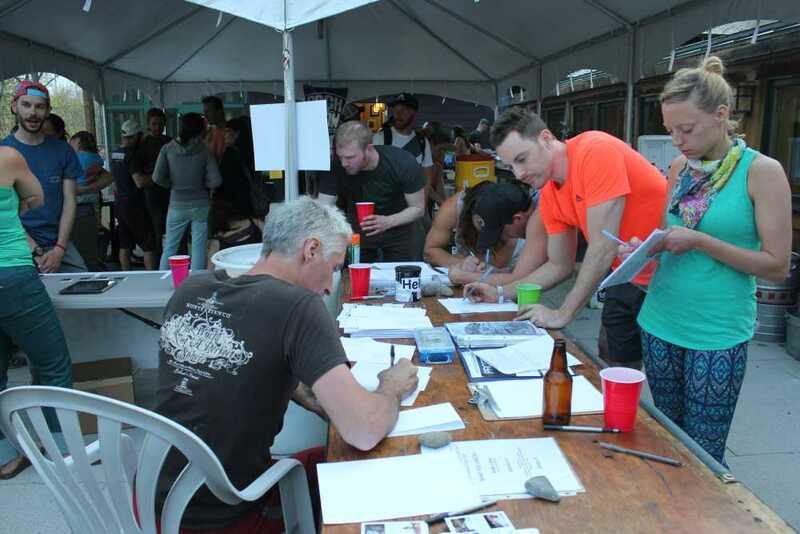 There was a table set up for people to write hand-written letters to New York State to request more opportunities for climbing in Minnewaska State Park preserve and many letters were written during the party. Donations were also received to help pay for the envelopes and postage to mail them. Writing letters to expand climbing opportunities in Minnewaska. We had a great time and hope the attendees did too! 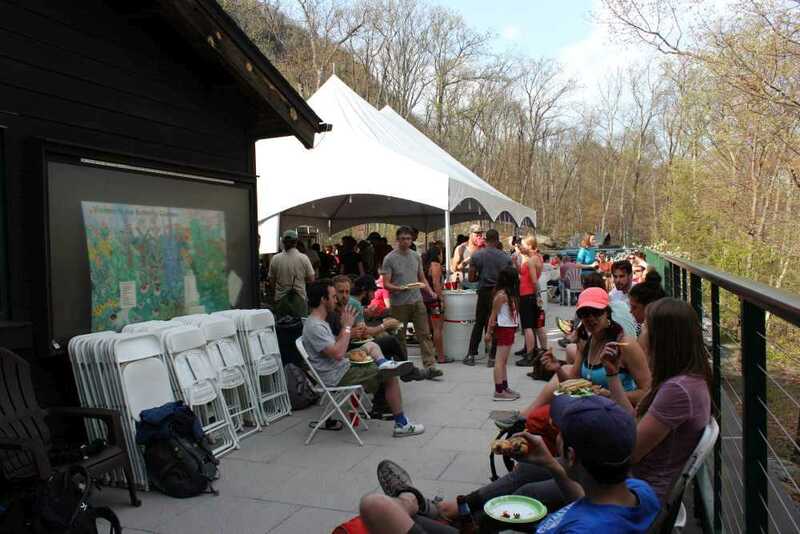 Thank you to the Access Fund and Black Diamond for bringing the ROCK Project to the Gunks and we look forward to hosting the event again in the future.